The Leader in Skin Science, Leaders Cosmetics. 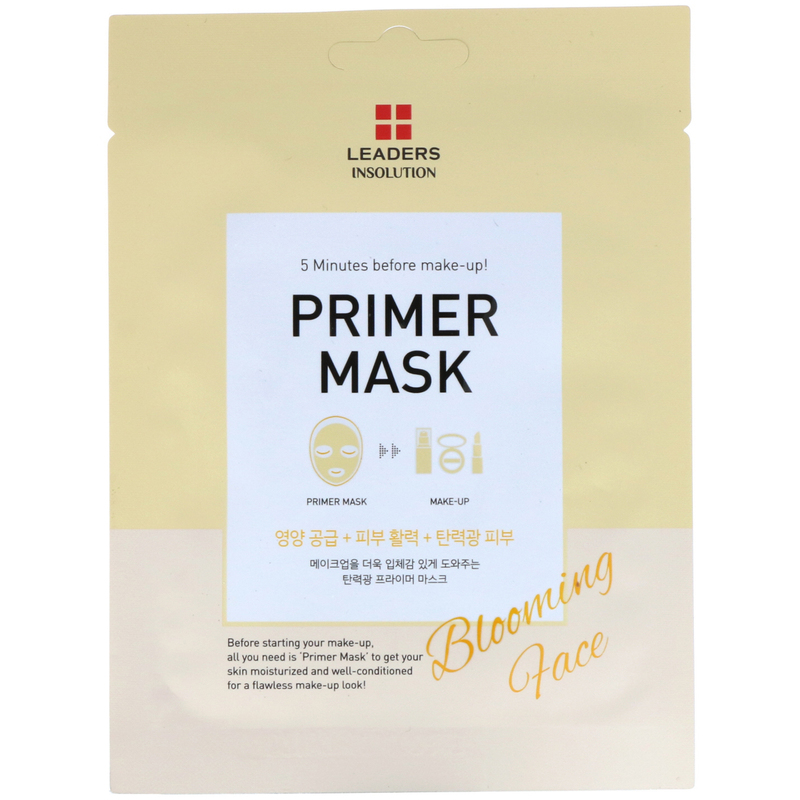 Before starting your make-up, all you need is 'Prime Mask' to get your skin moisturized and well-conditioned for a flawless make-up look! 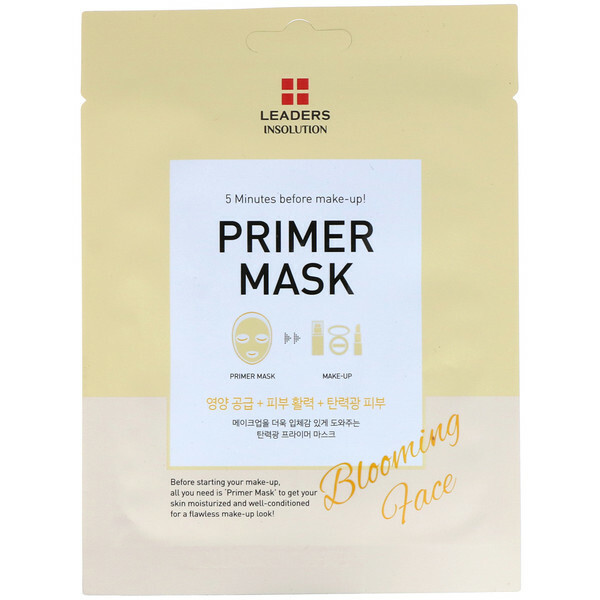 Primer Mask Blooming Face abundantly nourishes the skin for a contoured make-up finish. Cleanse your face and dry it, then refine your skin texture with toner. Apply the mask on your face and leave it 5-10 minutes before applying make-up. 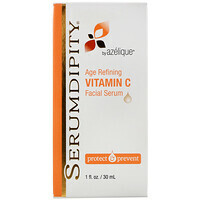 Take off the mask and tap your face until remaining serum is fully absorbed. Water, butylene glycol, methylpropanediol, niacinamide, glycerin, portulaca oleracea extract, acer saccharum (sugar maple) extract, 1,2-hexanediol, acrylates/c10-30 alkyl acrylate crosspolymer, betaine, arginine, caprylyl glycol, ethylhexylglycerin, hydrolyzed rye phytoplacenta extract, disodium edta, lentinus edodes mycelium extract, sodium hyaluronate. 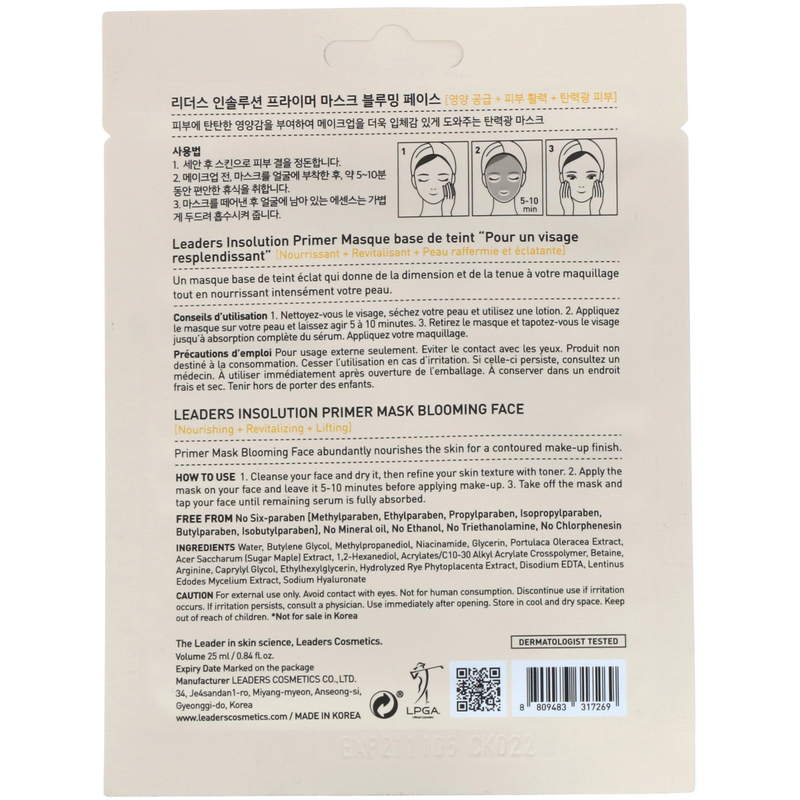 Free From: No six-paraben [Methylparaben, ethylparaben, propylparaben, isopropylparaben, butylparaben, isobutylparaben], no mineral oil, no ethanol, no triethanolamine, no chlorphenesin. Caution: For external use only. Avoid contact with eyes. Not for human consumption. Discontinue use if irritation occurs. If irritation persists, consult a physician. Use immediately after opening. Store in cool and dry space. Keep out of reach of children.